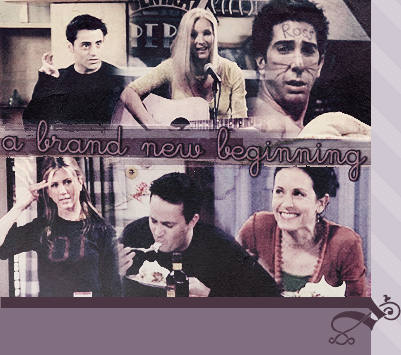 Welcome to A Brand New Beginning the one & only tfl approved fanlisting for Friends Season 6. If you're a fan grab a code and join! This fanlisting was previously owned by Kjersti & Aurelie it was handed over to me in May 2011. I'm not associated in any case with any people related to Friends. I'm just a fan.